Having a luxuries car in your yard can certainly increase the aesthetic value of your property. Most of the people in Queensland possess their own car nowadays. However, it is also true that having a scrap Metal car in the yard can damage the elegant look of your property. Wrecked cars not only reduce the aesthetic value of a property, it can also create many other problems for you. By keeping a wrecked car in your yard, you are also inviting various unwanted insects and creatures to your property. So, if you don’t want to lose the safety and graceful look of your property then the best thing you can do is to sell your scrap cars. Most of the people find it very difficult to bring a buyer for their old and wrecked cars. It is definitely true that you will hardly find any individual who is interested in buying old and scrapped cars. But, it doesn’t mean that your car has become valueless. You can still make some amount of money by selling it to the right dealer. Now, to find a reputed and professional company that deals with these types of cars, you don’t need to go anywhere else. Above All, our cash for cars company has brought the opportunity of earning some money from your old and scraped cars right at your doorstep including Free Towing or Car Removals in Brisbane. What is the purpose of buying the Old Cars? Not all the parts of a wrecked car are useless. There many parts of a scrapped car that can again use for further purposes. All our technicians are experts in removing those parts from the car safely. They will safely remove all those parts from your car and send them to the factory for making them further reusable. All the other junk parts crushed and sent to the Metal Recyclers. This whole process is also an environment-friendly process. You don’t need to get worried about any other cost in this dealing process. You will get rid of your old car at your convenience. All the staffs of OLD Recyclers highly trained professionals. They will make the wrecked car clearance at the smoothest way possible. So, you don’t need to keep any kind of unnecessary headaches in your mind. Our technicians will inspect your car properly prior to removing them from your yard. After proper inspection, they will remove the all the parts of your scrap Metal from your property in the safest way possible. Therefore absolutely no additional charge or cost involved in the whole process. Most of the scrap cars dealing companies generally offer a casual value for the wrecked cars without inspecting properly. 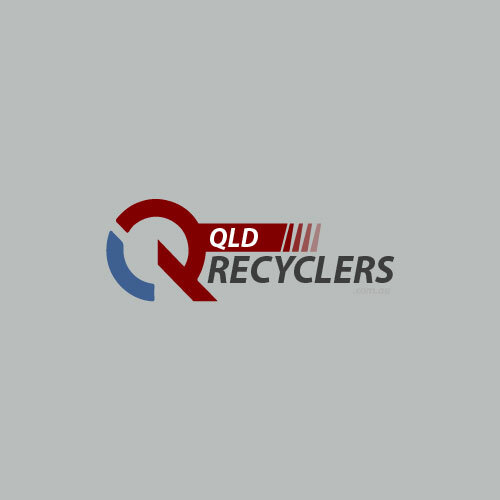 But with our company, QLD Recyclers, you will always get the right value for your cars. Our technicians will properly inspect your car before assigning any value to it and after completing all the procedure, you will get the full amount in your hand. You will never find any other better way to get rid of your old wrecked car. Scrap Metal Buyers Brisbane provide our service at every corner of Queensland. So, if you also want to make your property look neat and clean again by removing the unnecessary junk from your yard then contact our company immediately.We are the car wreckers that buy scrap vehicle and dismantle for parts, we deal in all makes including Honda, Mazda, Nissan, Toyota, Subaru and much more in the Eastern, Western, Northern and Southern Suburbs of Brisbane and also available on call. and tagged Tags: brisbane recyclers, cash for Honda wreckers, cash for Mazda wreckers, cash for scrap cars online, cash for Toyota wreckers, wreckerd car buyers near me on September 18, 2017.